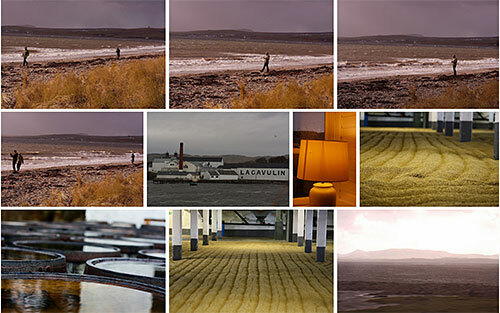 You can find the pictures in the Islay March 2014 Flickr set. They still had some Snowdrops, watched some dark and moody seas, filled a bottle at Bruichladdich, walked along Loch Indaal and studied the whisky at Lagavulin. And more. I hope you'll enjoy Delaina's Islay pictures, just have a look around in the set.